What shaft diameter end mills can I use on the STEPCRAFT Automatic Tool Changer? We have SK10 tool holders for 1/8″, 3/16″ and 1/4″ shaft diameters. What is the collet range sizes that the HF-500 Spindle can accept? The HF-500 can support up to 8mm ER11 collets. The most popular in North America are 1/8” and 1/4”, but they have collets that range from 1mm to 8mm that will work. The ER11 is an industry standard that determines the overall collet size. ER11, ER16, ER20, ER25 are all common sizes. But the HF 500 and our Tool Changer tool holders for the MM-1000 are both designed for the ER11. Is there a video on installing and setting up the STEPCRAFT Automatic Tool Changer? Yes, you can watch a full step-by-step video below. If I order a STEPCRAFT with an Automatic Tool Changer, will you pre-install the tool rack and setup the software? Yes we can pre-install the tool rack(s) for you on your machine. We will ALWAYS put them in the rear right corner (when looking from the front of the machine). Additionally, we will setup the tool locations in UCCNC and send you the Macro file that you can simply copy to your installation of UCCNC. Once complete, all locations should be correct and you can start using the ATC right away. How do you set the tool lengths (Z height) for each tool in the Automatic Tool Changer? We actually have an automated macro that will do this for you. The video below will explain how to do this. NOTE: This macro will require the Tool Length Sensor in order for this to work. How do I connect the cables for the Automatic Tool Changer (ATC) on MM-1000? Does the Automatic Tool Changer require an air compressor? 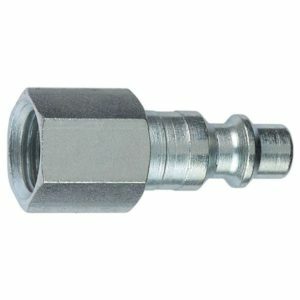 This is the fitting we use with our compressor from Home Depot 1/4 in. FNPT x 1/4 in. I/M Steel Plug. 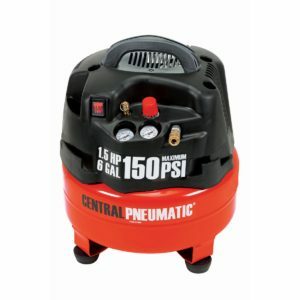 Your air compressor may vary. Can you use the Exhaust Adapter with the Automatic Tool Changer? No, at this time you can not use it because the Exhaust Adapter wraps around the whole spindle, which will interfere with the tool changer putting the tool back into the rack. At this time we do not have plans for a new exhaust adapter design that will be able to be used with the tool changer. Are the Automatic Tool Changer Tool Holders separate from the actual bits? Yes, the tool holders are special collets that you install the end mill into and place it on the tool rack. The tapered design of the top of the tool holder allows it to be grabbed and secured by the tool changer. 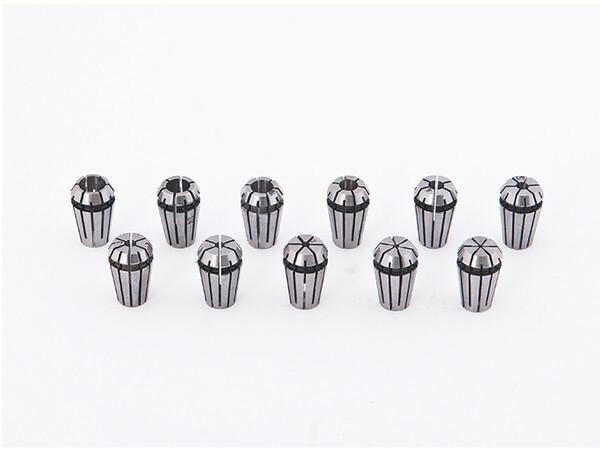 Tool holders are available in 1/8″, 3/16″ and 1/4″ shaft sizes. Note: when you buy the Automatic Tool Changer, it comes with two 1/8″ tool holders and a rack that will hold up to 5 tools, so to fill the entire rack, you will need to order 3 more tool holders.